OUE Hospitality Trust - OCBC Investment 2019-01-31: 2019 Is The Year! 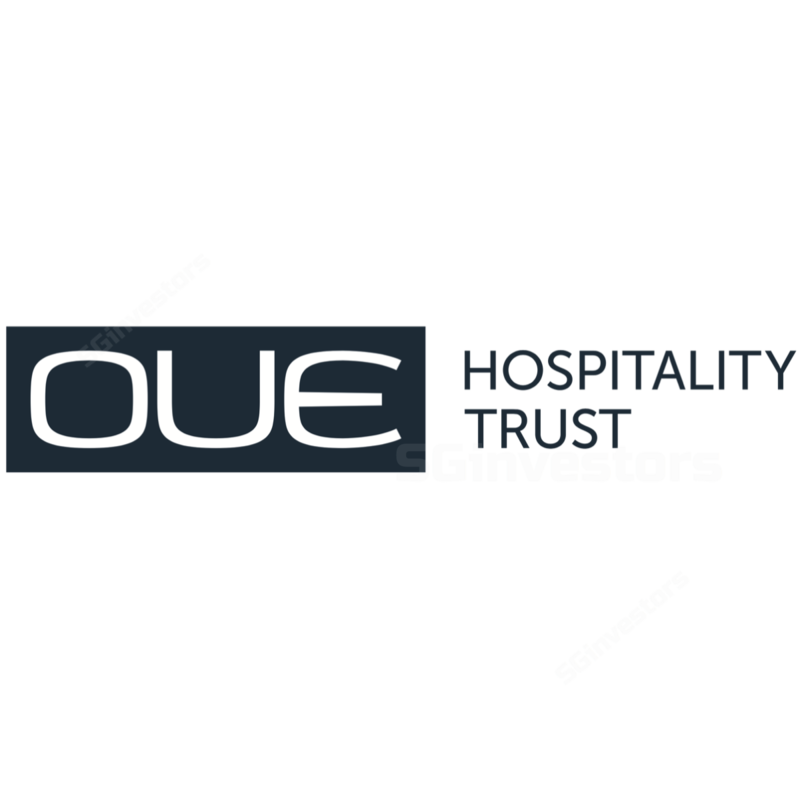 OUE Hospitality Trust - 2019 Is The Year! One of two SG-based hospitality REITs. New plans for Orchard Road. OUE HOSPITALITY TRUST (SGX:SK7, OUEHT)’s 4Q18 results were within expectations. 4Q18 gross revenue dropped 2.2% y-o-y to S$33.1m while NPI dropped 1.0% to S$28.9m due to lower income from the hospitality segment, partially offset by a higher retail contribution. 4Q18 DPU increased 0.8% to 1.28 S cents while FY18 DPU dropped 2.9% y-o-y to 4.99 S cents or 100% of our full-year forecast. As a whole, OUEHT’s hospitality segment clocked a 1.8% y-o-y increase in RevPAR in 4Q18. In particular, Mandarin Orchard Singapore’s RevPAR was up 1.6% to S$229 for the quarter, on the back of better occupancy, boosted by better demand from both transient and corporate segments. However, NPI for MOS was down 2.4% to S$18.3m in 4Q18 due to lower banquet sales. We note that the Grand Ballroom at MOS has just reopened two days ago. Meanwhile, Crowne Plaza Changi Airport’s (CPCA) RevPAR was up 2.1% y-o-y to S$180 for the quarter. CPCA continues to receive minimum rent, and we expect the asset to surpass the requisite RevPAR threshold for variable rent (a RevPAR of ~S$190 or so) in FY19. Meanwhile, with regard to OUEHT’s retail segment, we see traction at Mandarin Gallery, with committed occupancy increasing 4.5 ppt y-o-y to 99.1%. In addition, NPI increased 6.5% y-o-y due to lower property tax despite a flattish revenue. the anticipated opening of Jewel Changi Airport early this year which should boost RevPARs at CPCA. In addition, MOS looks to benefit from the proposed plans to rejuvenate Orchard Road, which were announced yesterday. As part of a year-long trial by the Orchard Road Business Association (expected to start in Apr), Orchard Road will see more activities such as retail and food and beverage pop-ups, and arts and entertainment events. OUEHT’s valuations remain very compelling as at 30 Jan 2019. After incorporating the latest set of results, our fair value has increased from S$0.79 to S$0.82. As at 30 Jan’s close, OUEHT is trading at a 7.2% FY19F yield, ~70 bps and ~150 bps above FAR EAST HOSPITALITY TRUST (SGX:Q5T)’s and CDL HOSPITALITY TRUSTS (SGX:J85)’s respectively. We previously upgraded OUEHT from Hold to BUY on 20 Sept 2018 (see report: OUE Hospitality Trust - Too Cheap To Ignore), on the back of OUEHT’s dramatic share price decline. Since then till 30 Jan’s close, it has posted total returns of 7.0%, outperforming the Straits Times Index by 6.7 ppt and the FTSE Straits Times REIT Index by 1.6 ppt. We continue to find the OUEHT’s unit price very attractive as at 30 Jan. Maintain BUY on OUEHT with a S$0.82 fair value.